The ICO regulation in Thailand will advance further by the end of November, as the Thai Securities and Exchange Commission (SEC) aims to implement a new measure in order to reduce the number of ICO scams. 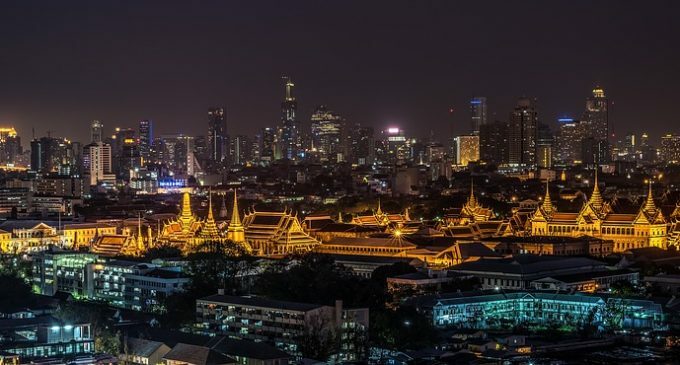 Thailand had been one of the countries that showed increased interest in digital assets and this new innovative sector, regulating ICOs a few months ago. What could an ICO portal mean? At least one ICO portal will be certified in November, then we can approve each ICO offering, which might start in December. There’s no exact date mentioned yet, but the procedures look serious enough to convince us they will be implemented. In terms of the implications, an ICO portal is expected to act as a vetting instrument for the legitimacy of each blockchain-based project. It will also help the SEC, which is the main financial regulator in the country, to make sure that a proper KYC (Know Your Customer) policies are being conducted. Overall, the move should have a positive implication for legitimate projects and act as a filter against scams and thefts. It also comes in a period of low interest for ICOs. We’ve seen in a recent article how funds raised by ICO plunged to new lows in October, showing some sort of reluctance and diminishing interest from ICO investors. Blockchain-based companies truly need funding in order to implement their agenda, but still, due to many nasty situations for investors, financial regulators were forced to step in and begin to implement rules for how funds are being raised. We also have financial institutions interested in the ICO sector, with a Swiss bank recently mediating the first ICO project. These kinds of events are the ones who give a positive boost to the overall image of ICOs, so are more than welcome. Unfortunately, we do not see a uniformity in terms of how each country deals with ICOs, which could lead to the appearance of some sort of safe havens for ICOs, where scammers could benefit from lax regulation and limited oversight from financial regulators. It will take a few years until we might see the sector well-put into place from this point of view, so until then it is up to you to take precautions and make a thorough documentation before deciding to invest in an ICO project. What Should You Know about the Verasity ICO? Should You Invest in an ICO in 2018?